Oil on canvas, 46 x 37 cm. 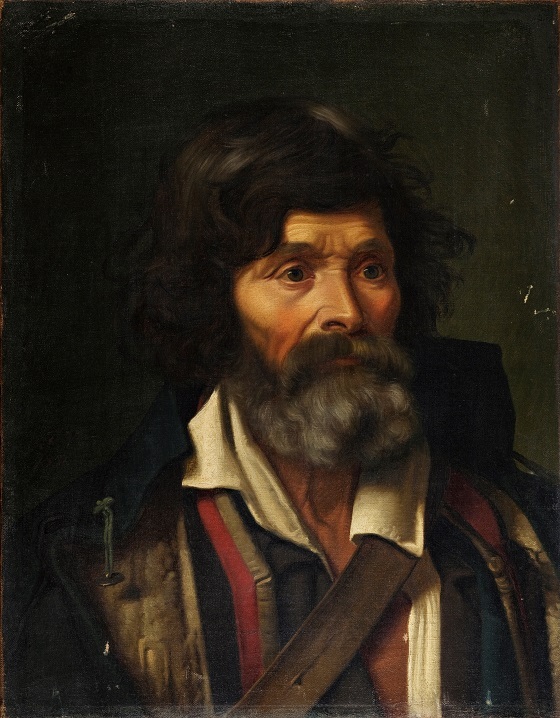 This head and shoulders portrait of an elderly villager with a grizzled beard belongs to the group of colourful portraits that Frederik Vermehren completed throughout his stay in Italy from 1855-1857. Like his colleague Wilhelm Marstrand, the artist enjoyed using local people as models to work on his portraiture. However, Vermehren’s portraits from this period are characterised by their seriousness, which distinguishes them from Marstrand’s often carefree depictions of the Italian way of life. His portrait studies from Cervara, Gerano and Rome demonstrate the artist’s finely honed ability to portray his models in an unsweetened and true-to-life manner.